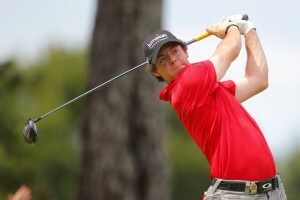 Rory McIlroy won $2 million at the unsanctioned Shangai Masters. Photo copyright Icon SMI. The $5 million Shanghai Masters was undeniably a cash grab. The first-year event had a 30-player field with a $2 million first prize (the largest in pro golf) and $25,000 for last place, plus appearance money for many entrants, but what really gave it cash grab status was the fact that it wasn’t sanctioned by any Tour. Not only would the victory not count, there weren’t even any world ranking points awarded. The only thing to get out of it was the cash, or maybe the confidence that comes from winning. I’m not here to bash the cash grabbers, however. It’s amazing how often athletes are criticized for taking the money when most of us—if we had the chance—would take the money ourselves. And while there was security in the guaranteed cash for showing up, you had to win to get the really big money. Rory McIlroy walked away with the big prize in a playoff with Anthony Kim, who missed a three-foot putt on the first playoff hole. Second place was worth $750,000, so that miss cost Kim a chance at winning $1.25 million more than he did. That’s got to hurt. The Shanghai Masters was an IMG production. It was timed to precede this week’s HSBC Champions, a WGC event also played in Shanghai. That made sense, but it also put the tournament in conflict with the PGATour/Asian Tour’s CIMB Asia Pacific Classic in Malaysia, an unofficial event from the PGA Tour side but one that carried world ranking points, and the European Tour’s Andalusia Masters, an official event. What that shows is that the golf calendar is very crowded—it’s impossible to find an open week anywhere except for Christmas/New Year, so an event like this will have to go up against something. But I don’t think it represents a significant IMG challenge to the Tours. There aren’t enough sponsors willing to put up that kind of dough, and the Tours are too strong, for this to become a trend. (This one was sponsored by the Lake Malaren Golf Club and Resort, the site of the event. Seems like a lot of money to put up for the sake of publicity. It will take a lot of tourists to recoup that investment.) In fact, there’s a very good chance that the Shanghai Masters will become a European Tour event next year. With three end-of-October tournaments to choose from, the top 10 players in the world ranking mostly chose “none of the above.” Only three of them played—Lee Westwood (No. 2) and McIlroy (3) in Shanghai and Martin Kaymer (6) in Spain. The Shanghai event drew five of the top 20 and eight of the top 25, not overwhelming but better than the week’s other two events. It can’t be said that McIlroy beat a great field, especially considering the lack of depth. There were 10 Chinese pros along with 20 from the rest of the world. The leading Chinese finisher was the succinctly named Mu Hu, who tied for 16th with Jim Furyk and Charl Schwartzel. Kudos to www.golfandcourse.com, a European website, for listing the complete results. Since you probably haven’t seen them, I’ll deliver this shocking news: John Daly not only played, he actually finished tied for ninth. Nice article David. I regularly read and enjoy your comments. Just in case ET doesn’t cosanction the event next year and you again need to find the complete scoreboard for the Shanghai, it is posted on the Shanghai Masters website. The front page gives you the top 10, but underneath that top 10 is a link to the complete results.